1> Authentically welcoming others and being glad to be with them. It is a genuine part of someone’s personality – something that flows naturally. It can be an outlook on life and other people that comes naturally to a person or, as with many introverts, it can be a learned behaviour. Either way, we are glad to meet new people and are seriously and personally interested in them as a person and in the story of their life journey to this point in time. We welcome them into the discussion and the relationships that already exist. We include them in the on-going conversation. We genuinely want to hear their opinion and their thoughts on the matter being disced – even if they are non-Christian, not biblical, and contrary to everything that we believe and hold to be the truth. instead of being repulsed by someone with a different point of view, we relish the time with them and allow them to see believers in a loiving, nonjudgmental light. This will hopefully be an open door to eventual friendship and deeper conversations about Jesus. The saying goes, “To be interesting, you need to be interested.” When you notice someone and are really interested in connecting, that person knows it. Your conversation revolves around the other person rather than you. Your conversation isn’t awkward or pushy. It’s unscripted love. People can tell when you are genuinely interested and daringly curious. People know when someone is sincerely interested in them. When the people leave right after service and conversation does not continue for a while after the ‘official event’ has ended then we negate the above three items. It is important that after the event has officially ended that people feel free to hang around, have a cup of post-service freshly made coffee. When people linger and just chat then we show that we are practicing RADICAL HOSPITALITY. So, arrange an “AfterWords” conversation time where people are free to stay and linger should they wish to, and where people can follow up on conversations sparked earlier and talk about what is important to them. 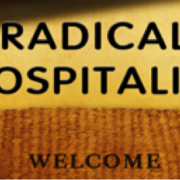 More on radical hospitality next time…. Radical hospitality is magnetic and draws people in the same powerful way that Jesus drew people to Himself on a daily basis. When Jesus said, “You will be treated as you treat others,” He was referring to the cyclical nature of human behaviour. When the culture judges the church, we judge right back. And we want the culture to know it is misjudging us – we are not who they think we are. Likewise, people outside the church think that the church is misjudging them, because they are not who we think they are. Only when walls come down through building decent, respectful relationships do both sides have a chance of coming together. In essence, Jesus says, “You’re welcome just as you are.” Throughout His ministry, Jesus embraced despised prostitutes, cheating tax collectors, smelly fishermen, and all manner of sinners. He reached out and touched the blind, the lame, and even the “untouchables” – the lepers. Jesus opened His arms and welcomed others in such a radical way that the churchy types got pretty ticked! We humans would rather people cleaned uo their acts BEFORE we connect with them. Thankfully, God doesn’t think like that. The New Testament is packed with unforgettable stories of Jesus’ radical hospitality. We love the story of Jesus’ first encounter with Zacchaeus, a notorious cheat. It so vividly shows how religious people respond when Jesus reaches out to someone they don’t think deserves it. Jesus noticed Zacchaeus, called Zacchaeus to Him, and invited Himself over for dinner. 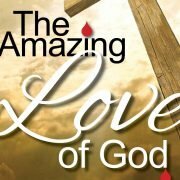 The resulting change in Zacchaeus was miraculous. And, the reaction of the religious people was, well, disturbing. Jesus placed ACCEPTANCE WITHOUT ENDORSEMENT. Remember, don’t expect someone to act like a Christian until they become a Christian. And even then, be careful you don’t impose your ‘standards’ of behaviour and lifestyle on them because a lot of what we consider to be Christian is really simply cultural. It is time to design the Church so that it represents it’s Founder, Jesus. When we look at the way that Jesus ministered while training His twelve disciples we see that there were four keys to all that He did. We have looked at these previously in this series but let’s review them once again. As Jesus ministered He had four key elements to the way He interacted that we would do well to establish in our churches today. 1> Radical hospitality – opening our hearts and our homes letting people know that they are welcome just as they are. This is important because most people who are no longer attending a local church and those who have never attended see the church as very judgemental. They feel judged. 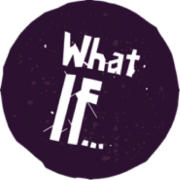 2> Fearless conversations – being seriously secure in what we believe as Christians that we can welcome people’s thoughts and doubts even if they are contrary to what we believe and fly in the face of the biblical truth that we hold to be so important. We should live life and hold services and events that say “your thoughts and your doubts are most welcome here.” People today – even those who are still attending – believe that the church does not care what they think and that all the church wants to do is lecture them (preach at them). 3> Genuine humility – this means functioning in a way that we send out a message that says, “We are all in this together.” Right now people judge us and truly believe that Christians are a bunch of hypocrites. We must overcome this impression and let those who are not attending that we are no different than they are and that we are all on a journey to discover purpose and meaning. Yes, in many ways we are hypocritical but then so are most non-attenders. So, truly we are more alike than we are different and we must broadcast the message that “we are all on a similar journey and so are all in this together. This will take genuine humility on our part as we must not come across as people who have arrived and know al the answer – even when we hardly know the questions that are being asked. 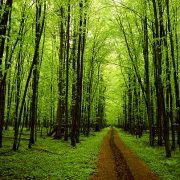 4> Divine anticipation – this means living life anticipating that every day we will encounter God in a fresh and new way. The church should be a place where everyone attending will know that, “God is here, ready to connect with you in a fresh way.” This will mean changing much of what we are currently doing – formats, methods of ministering, ways that we preach and teach, and especially the way we connect with people. We need to speak into the general belief of non-attenders that “Your God is irrelevant to my life.” We need to show them, by the way we live our daily lives, that God is very relevant and a daily experience for those who call themselves disciples. This can then spill over to our weekly assembly and other programs being held during the week. 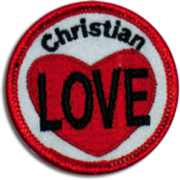 These four acts of true Christian love – radical hospitality, fearless conversations, genuine humility, and divine anticipation – will make our churches irresistible because Jesus is irresistible. They really work, and as I apply these truths to a number of churches where I work regularly I see more and more people coming alive to the possibility that God truly does care about them and is here for them. Why do I want to convince you to stop calling yourself a Christian and don’t encourage anyone else to become a Christian? The International School of Apostles and Prophets recently held in Butler, Ohio was a powerful success. With young apostles and prophets in attendance from the United States of America, Canada, Russia, Tajikistan, and the Republic of Democratic Congo (Africa) it was an opportunity to see the Kingdom of God in a much fuller way. 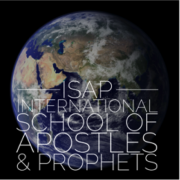 The International School for Apostles and Prophets is a School designed to train, equip, and mentor young men and women who have received a prophetic call into the five-fold ministry offices of apostle and prophet. These and other vital subjects will be covered in this School being hosted by The River Church in Butler, Ohio – sponsored and supported by Ralph Howe Ministries and The River Church. More information as it becomes available. What if churches actually provided training and equipping for ministry and released people to exercise their ministry both in the congregation but, more importantly, outside the church’s four walls? Then fewer people would be leaving the church disillusioned because they will finally see purpose and meaning in all that is taking place and they will be challenged to grab hold of the big picture to go to every nation and make disciples. People are looking for purpose and a cause worth investing in. With major changes we could both challenge bored believers and show them something worth investing their lives in. This would require a major change in the way we do ministry and the purpose of the ministry that is now being done. Right now the trained experts known as pastors and priests do the ministry and the people sit and receive.It is a spectator sport. And, the people are given information each time the church meets – information gleaned and shared by the expert. They are asked politely to apply this information to their everyday life but seldom do. And, this information is almost always about how to live a better Christian life and improve their own personal situation or circumstances in life. The change would require people to no longer just be informed but transformed by the truths being taught. Application would go from 10% of the sermon at the end – a poor way to close a presentation – to 50% or more of the teaching. The book of Romans is 50% application. Paul writes some heavy theology and biblical truths for several chapters and then spends the next few chapters telling his people what to do with the truth and how to use it in their lives to touch others for Jesus. The book of James is 100% application. So, we will need to teach differently – no longer to inform but to apply the truths immediately so that lives are actually transformed. Secondly, we need to be training God’s people in the doctrines and basic teachings of the Christian faith. However, again, not for information only. Jude 3 states that we need to know how to “earnestly contend for the faith.” This is why we need to train God’s people in the truths of the faith… so they can eagerly defend the faith out in the real world when away from the safety of the church building and the fellowship with like-minded believers. Using their knowledge of what the Christian faith teaches and believes to influence and impact others. But, more than that. We need to equip God’s people to move in power (Acts 1:8) and function in the gifts of the Holy Spirit (1 Corinthians 12:4-11). Otherwise they can only do half a job when sharing the Gospel of the Kingdom with others. Paul states in Romans 15 that he fully proclaimed the Gospel in words and with deeds. He describes those deeds – miracles, signs, and wonders done in the power of the Spirit. So, we need to be equipping God’s people to move in power and flow regularly in the gifts of the Spirit in their everyday world so that we fully proclaim the Gospel and prove to non-believers that Jesus is alive. The church is not responsible to supply mature believers with ministry opportunities. The Church is responsible to train and equip God’s people for the work of the ministry (Ephesians 4:12) which takes place where they live – in their neighbourhood, the sports associations they belong to, their work place, where they shop, and where they meet with others for coffee and conversation. Their lives are full of ministry opportunities – they simply need to be trained to see and these opportunities and how to minister within the opportunities that are available to them on a daily basis. This is a major change in focus for most churches as well as a change in the whole purpose of what is taking place each time God’s people meet. It will require redefining ministry, refining what is taking place in the assembly moving from information to transformation; from a spectator sport with the coach doing all the work and the players sitting and receiving – to the players out there learning how to minister and being released to do so in their real world. It will require us to see what happens within the church as maintenance and not ministry, training and equipping and not just teaching. Then, as everyone “goes into all their world” we will see people converted to their faith and discipled by those who led them into the Kingdom. In the early part of October, 2015 a number of young apostles and prophets (in training) gathered for the first of a series of International Schools of Apostles and Prophets in Butler, Ohio. This School is a joint project of The River Church in Butler and Ralph Howe Ministries with headquarters in Western Canada. With students from the United States, Canada, Russia, Tajikistan, and Republic of Democratic Congo the ten days were filled with fellowship, laughter, great food, worship and prayer, as well as classroom learning each day. On the two Sundays students spread out among local churches (Butler, Cardington, and Columbus) to share their testimonies as well as see how people in another nation worship the Lord. Handouts for further consideration included: The Apostolic Mandate, Signs of a Healthy Apostolic-Prophetic Church, Preaching for Impact, The Heart of Apostolic Ministry, Seer and Nabi Prophets, Team Core Values, and How to Have a Generous Church (tithing). Other written material is currently being prepared and will be distributed to the students in the coming months. All materials covered at the School as well as all future handouts will be posted on a special section of Ralph Howe Ministries’ web site and available free-of-change to anyone who is interested. This material will be posted in English and Russian. The second International School for Apostles and Prophets (North America) is scheduled for October 6th to the 15th, 2017 to be held in Butler, Ohio.